Edgar Martinez may not be getting the Hall of Fame ballot love so far, but he is getting the Opening Day Countdown love. We are 11 days away from the start of the 2014 Major League Baseball regular season in Sydney, Australia, and on this day we honor the player who wore that jersey number for his entire career with the Seattle Mariners. Flash back to April 2, 2001. Playing at home against Oakland, Martinez reached base in all five plate appearances. He was 3-for-3 with two intentional walks, batting in the 3 hole. His RBI single in the seventh scored Ichiro Suzuki to cut the A’s lead to 4-3, the big hit in the game, and Jon Olerud would follow with the game-tying hit. Seattle would win, 5-4. That was the first of 116 wins that season for the Mariners. No MLB team ever won more. Who should be No. 10? 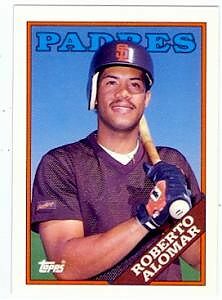 On April 3, 1989, a promising and future Hall of Fame infielder named Roberto Alomar reached base four times for the Padres. It was his first Opening Day game. Playing at home against the Giants, Alomar walked on four pitches in the first inning and then scored; he had an RBI single the next inning; and he walked in the fourth and ninth innings. Such Opening Days were fairly standard for a generation of fans. Alomar was a sign of the game’s return, first for the Padres and then the Blue Jays, among seven clubs he played for in his 17-year Major League career. He was an All-Star for 12 consecutive seasons, from 1990-2001.
Who should be No. 11? Exactly two weeks away from Major League Baseball’s Opening Series on March 22 in Sydney, Australia, we continue the countdown with a salute to every No. 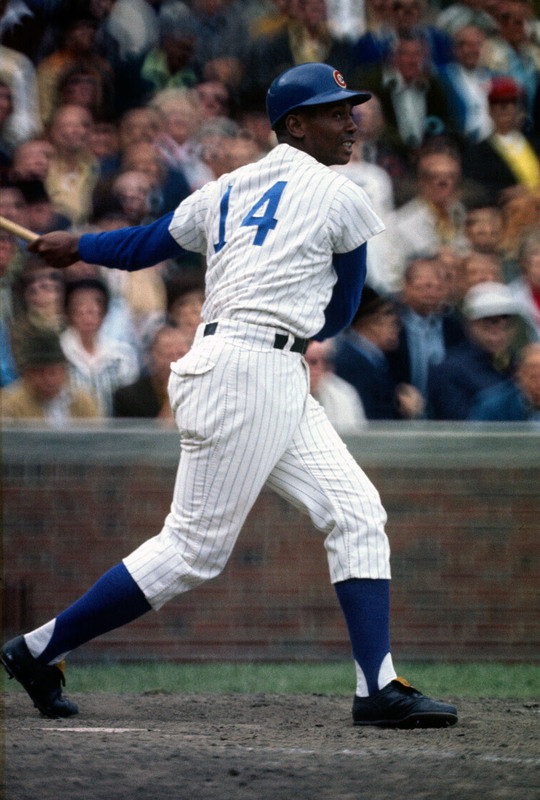 14 in the Baseball Hall of Fame: Ernie Banks, Jim Bunning, Larry Doby and Jim Rice. Banks made his Opening Day debut at St. Louis on April 13, 1954. 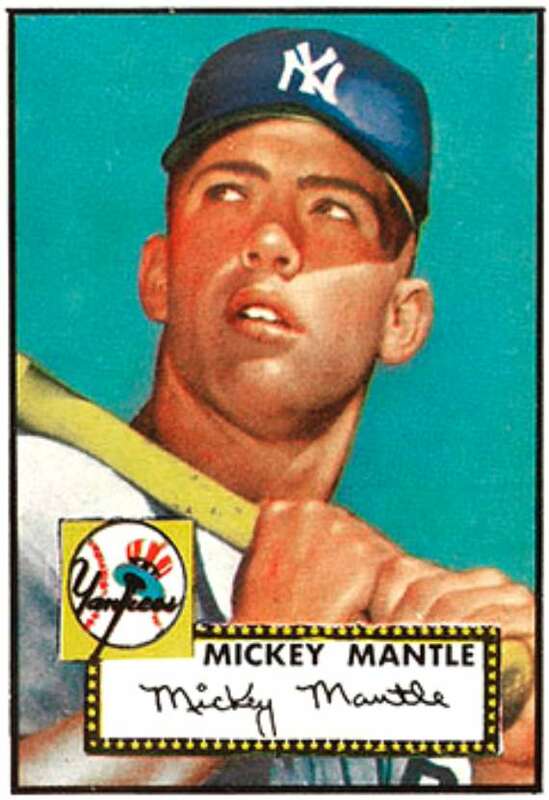 He delivered a 2-run single off Hal White to add insurance in a 13-4 Cubs romp, and he spent his entire career with the Cubs as an Opening Day fixture. 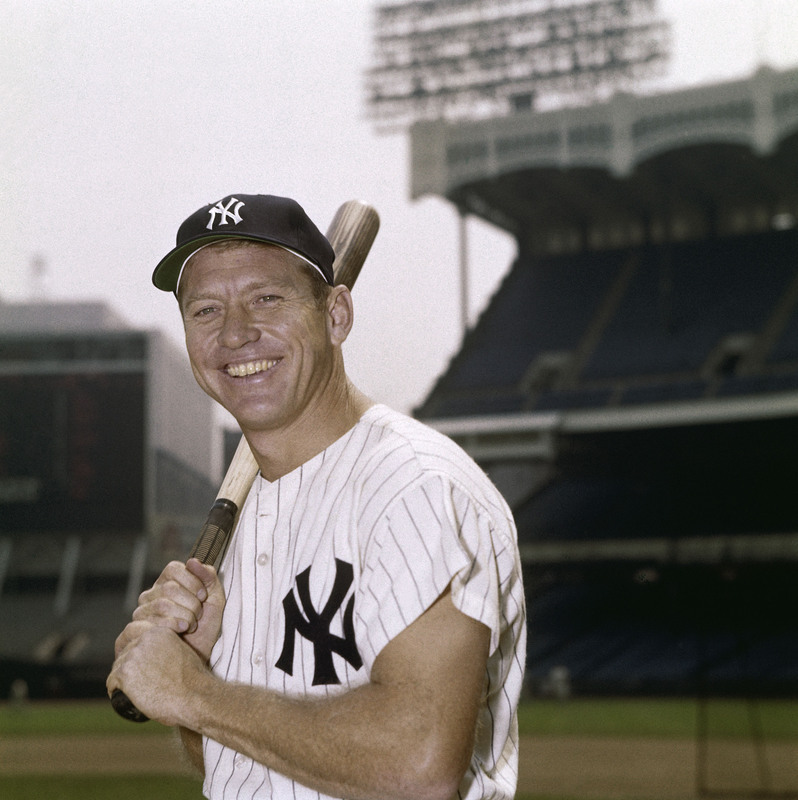 “Let’s play two!” became his calling card, and fans loved to watch him play. Bunning made six Opening Day starts, one with the Phillies, four with the Tigers and one with the Pirates. The highlight was a 4-3 complete-game road victory over the White Sox in 1958. Doby became the first black player in the American League when he appeared for Cleveland at home against the White Sox on July 5, 1947. That was less than two months after Jackie Robinson, our featured 42 Days player here, broke MLB’s barrier for Brooklyn. 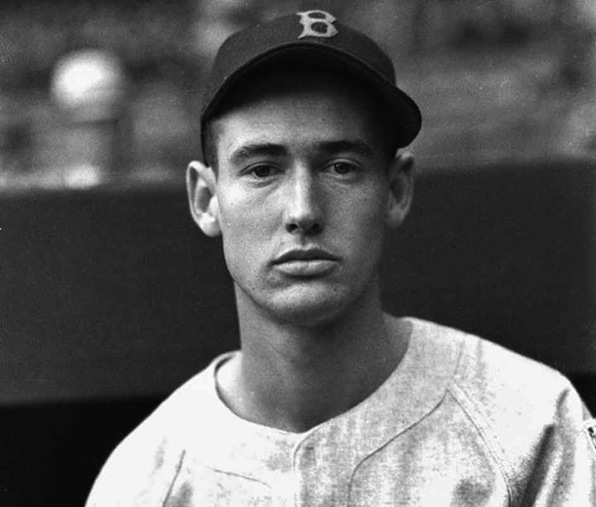 In 1948, Doby had his first chance to start on Opening Day, and in the process of that Bob Feller two-hit shutout at home against the St. Louis Browns, Doby, playing right field, threw Whitey Platt out at first. Doby helped Cleveland to that year’s World Series title, its last to date in franchise history. Rice hit a three-run homer off Rick Wise of the Indians at Fenway Park on April 5, 1979. That’s all Dennis Eckersley would need it a 7-1 triumph. It is random, but it was typical in reminding you of Rice’s place among the game’s great sluggers. Who should be No. 13? The number 15 in baseball is loaded with players who evoke special memories for many of us: George Foster of the Big Red Machine; Cecil Cooper on Harvey’s Wallbangers in Milwaukee; Carlos Beltran in his prime; Thurman Munson, Jerry Grote, Darrell Porter and Sandy Alomar Jr. all behind the plate in Fall Classics; Jimmy Edmonds diving toward the wall in center to catch a big fly in St. Louis; Tim Hudson for Oakland and then Atlanta; and Davey Lopes earning four straight All-Star selections as Tommy Lasorda’s 2B from 1978-81. 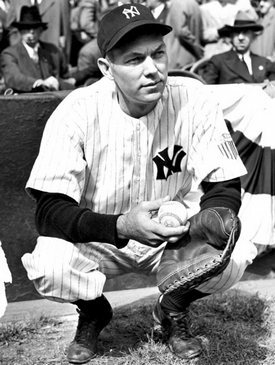 There’s a Hall of Famer in the list, Red Ruffing, winningest righty in Yankees history. And among today’s players, there’s a superstar in Boston named Dustin Pedroia, who has two rings and an MVP trophy. 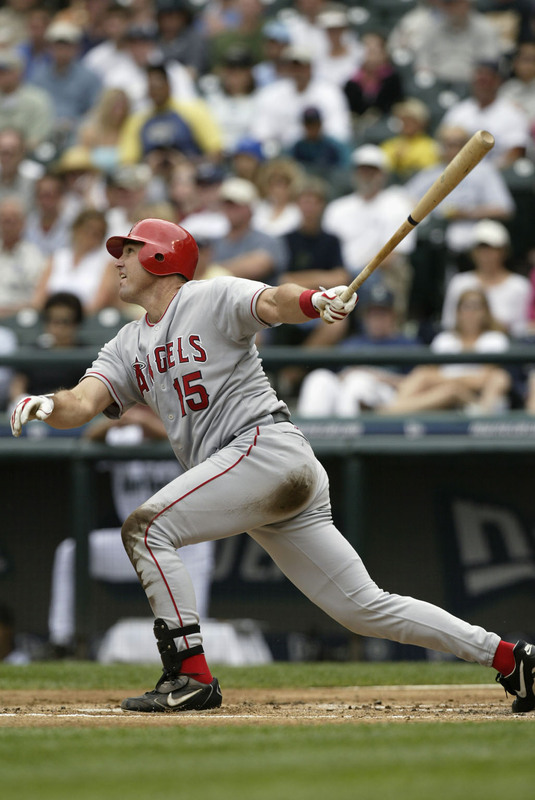 But 16 days away from Major League Baseball’s Opening Series on March 22-23 in Sydney, Australia, we are going to spread the love to Anaheim, where Tim Salmon was a fixture and fan favorite throughout his 14-year Major League career. . . . before the “other” fish guy came along. Salmon had the unique distinction of spanning three iterations of Angels Baseball. 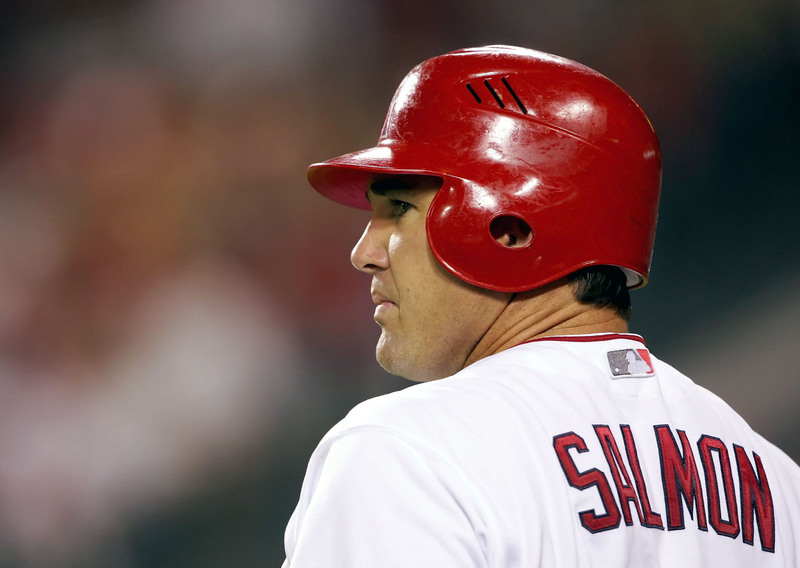 They were the California Angels his first five years (1992-96), the Anaheim Angels for eight seasons (1997-2004), and then the Los Angeles Angels of Anaheim for his swan song in 2005. In addition to his role on the 2002 World Champion club, he was an Opening Day force, starting off with a pair of 2-for-3 Opening Day games to back Mark Langston wins. Salmon wound up batting .298 (14-for-47) with four homers on Opening Days, and maybe he saved the best for last. The only Opening Day Salmon missed after his partial first season was 2005, due to injury. 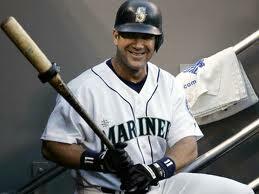 He came back in style on April 4, 2006, at Safeco Field. Leading off the top of the ninth against Mariners southpaw reliever Eddie Guardado, Salmon was sent up to pinch-hit for Adam Kennedy, giving Mike Scioscia a righty bat. On a 2-1 count, Salmon took him yard. It was his first career pinch-homer. 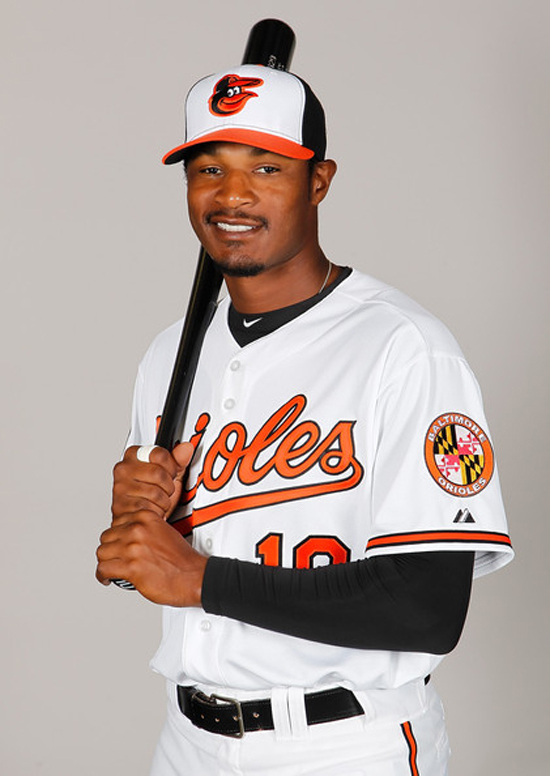 He had been on the brink of retirement after missing almost 1 1/2 seasons due to problems with his left shoulder and left knee, making the team out of spring training. That was his first homer in almost two years. Who should be No. 14? “It was very special to myself, obviously being my first one, being at Shea Stadium. It was Gary Carter’s first game as a Met, and he hit that game-winning home run in the 10th inning. That one sticks out more than anything. With that introduction, we fast-forward nearly three decades to 2014. Of all the things we are anticipating in this regular season, probably none is more exciting than the first Opening Day start by Jose Fernandez. The similarities to Gooden’s first Opening Day start are spectacular. 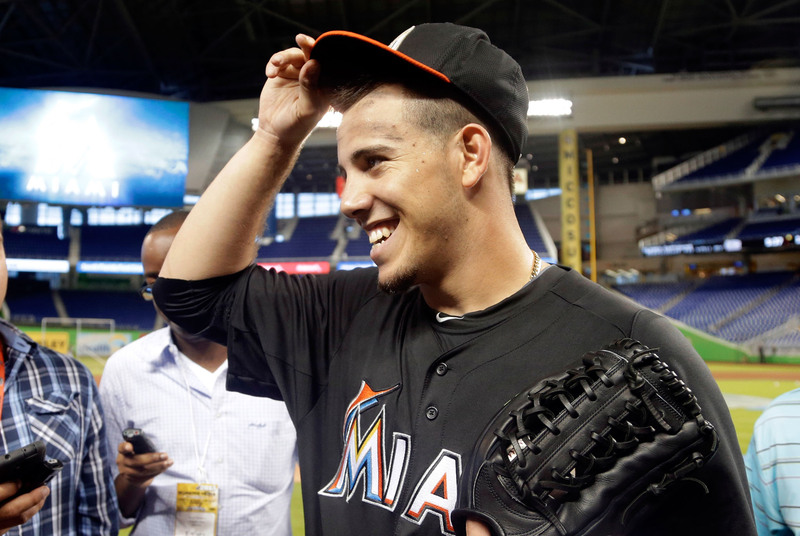 Fernandez is 21, ace of the Marlins staff. Like Gooden, he is making this assignment after having already been an All-Star, National League Rookie of the Year and a top-three Cy Young ballot choice in his first season, recording double-digit wins and electrifying crowds. Fernandez had a 2.19 ERA, 0.979 WHIP and 9.7 K/9 ratio his first season, compared to Gooden’s 2.60, 1.073 and 11.4, respectively. Each righty led the NL in his first year in hits per 9 innings, Fernandez with just 5.8 hits allowed per game compared to Gooden’s 6.6. 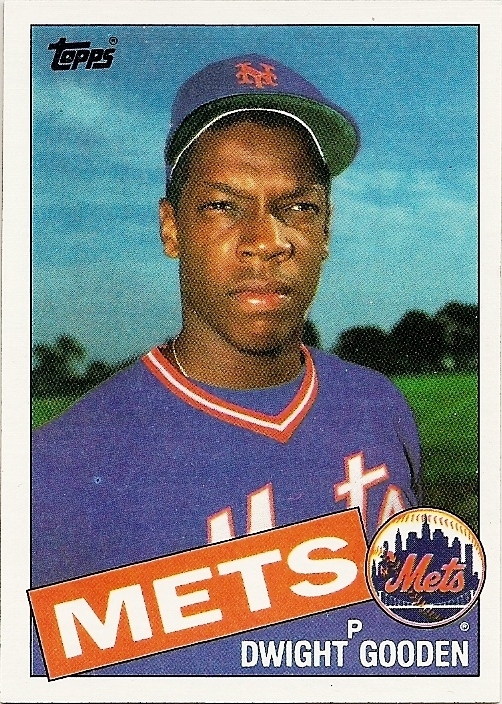 While Gooden pitched for a Mets club that was expected by many to contend — winning it all in 1986 — it still will be interesting to see whether his second-year growth is anywhere near that of “Special K,” who followed up his first Opening Day start by going 24-4 and winning the Cy. 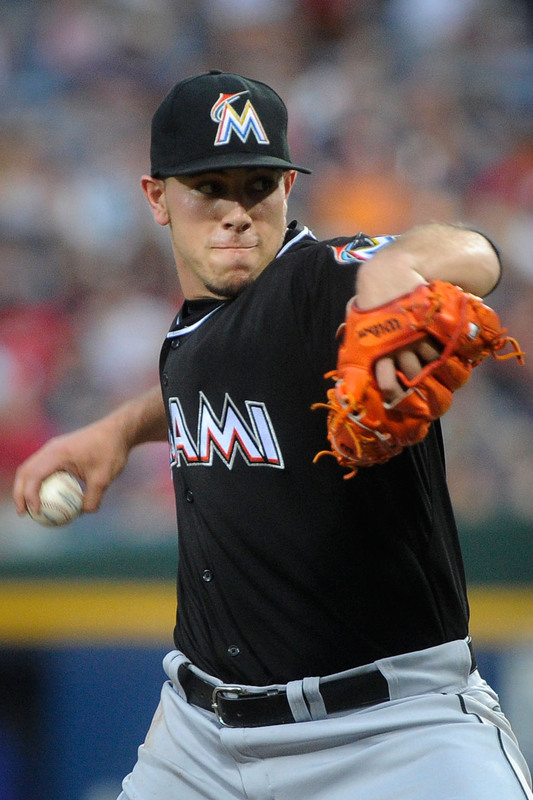 On Wednesday, Fernandez whetted our appetites again, holding the Mets to two hits in 3 1/3 shutout innings in Port St. Lucie, Fla.
Fernandez is on track to make his Opening Day start on March 31 at home against Colorado, and what a night that will be at Marlins Park. There is a Fireworks Spectacular after the game, there is an All You Can Eat Mondays special still available, and a special pitcher from Cuba will be on the mound. Who should be No. 15?